Everyone knows that Santa lives in Lapland. His reindeer pull his sleigh along tracks through the snowy forests. Wood cabins glow from within as smoke from wood burners trickles up into the clear night sky. For a true winter wonderland there is nowhere better than Lapland. At the northern tip of Finland, not a million miles from the North Pole is Lapland. In fact, the Sami – the indigenous reindeer herders – call the area Sapmi. The capital of Lapland is Rovaniemi, the official home of Santa Claus. Just outside of town is the Santa Claus Village and Santa Park, where you can visit Saint Nick, spot elves preparing for Christmas, try cakes from Mrs Gingerbread’s kitchen or ride the magic train. You can even get your own diploma from elf school, located in an underground cavern right on the Arctic Circle. Make sure to post your Christmas cards from Santa Claus’ main post office too. For big kids, there’s plenty to do. In the long winter months, you can try to get your reindeer driving license or simply take a ride with reindeer in a sleigh. 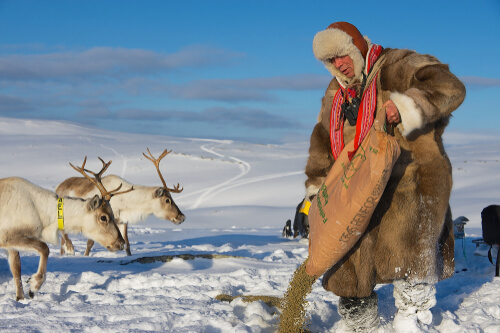 The local Sami people have been herding, breeding and training reindeer for centuries. There are a number of reindeer farms where you can see how the Sami train these majestic animals and enjoy sitting by a fire hearing their folk tales. 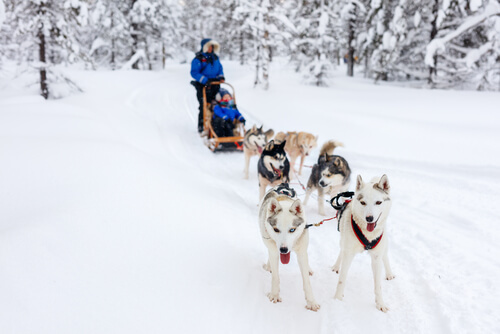 This region is also home to the Siberian Husky dogs and at Husky Park you can let the dogs pull you through the snowy woods. There are a number of places offering kennel tours where you can meet the magnificent dogs and see how they work. There are of course, plenty of outdoor offerings. Hiking and even lake swimming is popular in the warmer summer months. In summer, the sun stays high almost 24 hours a day, so people frequently can be found taking midnight walk through the woods. As well as swimming, water floating has become very fashionable. Don’t worry, you wear a floatation suit to keep you warm but then you can let yourself relax as you bob on the water on a crystal clear lake. Spas and saunas are also very popular in this neck of the woods. A traditional Finnish sauna normally involves sitting in a very hot wooden hut in the middle of the snow while stimulating blood flow by whipping yourself with birch branches. When it all gets a bit too hot it is tradition to jump in a hole cut in a frozen lake or roll around in the snow. A cool shower is also perfectly acceptable. After cooling down, you can start the process all over again. At the end of a day, make sure to try out some local Lappish cuisine. 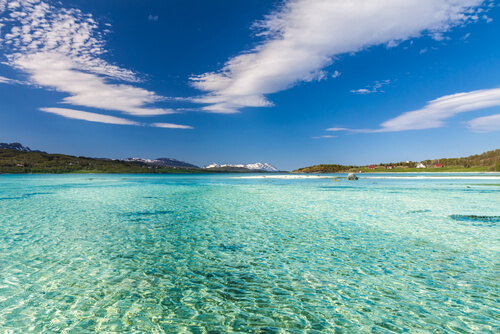 Whether it is in a homestead with a local Sami community or in one of the number of fine dining establishments it’s certainly something you shouldn’t miss out on. The wild game comes from the abundant woodlands and fresh fish comes from the lakes. Mosses, lichen, berries and herbs are all used that come from the surrounding forest. Enjoy a glass of hot berry juice while sitting by the fire and look up – you might see the Northern Lights.